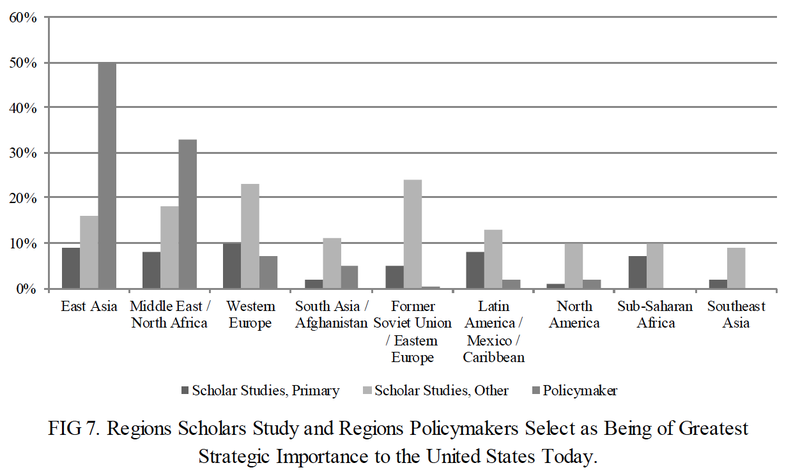 What do international relations scholars and policymakers in the U.S. care about? Not Southeast Asia, if the results in this new report (PDF) are to be believed. Here is Figure 7. These findings are certainly not surprising, but they might be a little bit depressing for those in my corner of academia. They are also an interesting contrast with my sense that among comparative political scientists and political economists, Southeast Asia is doing quite well (see here and here).